Manchester United’s teenage striker Marcus Rashford has been selected in England’s 23-man squad for the 2016 European Championship in France. Whilst Newcastle’s Andros Townsend and Leicester City’s Danny Drinkwater both miss out. City’s Joe Hart was a shoe-in for the England squad and will be looked upon as one of the squad’s key players. They’re not close to giving me a goalkeeping dilemma because we’re very happy with our goalkeeper. Hart used to be an Umbro Speciali man, but switched to Nike when the American brand took over and then sold Umbro. Despite playing 87 minutes of the 2-1 friendly win over Australia at the Stadium of Light recently and only being beaten by Eric Dier’s own goal, Forster is still only going to be England’s back up goalkeeper at Euro 2016. Despite his position in the pecking order, he’s a capable deputy who shone for the Saints after returning from a long-term injury in January 2016. Named as something of a shock in the PFA team of the year, Joe Hart has proved a precocious talent at just 23 years old. Something of an untested quantity at International level, the Shrewsbury native made his England d’©but getting 45 minutes against Trinidad and Tobago but has found opportunities limited since then. On loan from Manchester City to Birmingham City, Joe Hart has pulled off an amazing 10 clean sheets this season, including a heroic Boxing Day Display against Chelsea, and playing in all but 2 of Birmingham’s Premier League games this season (he’s not allowed to play against Manchester City due to the terms of his loan). An Umbro Goalkeeper, Hart opts for the more classically styled Speciali football boots to give him the edge in between the sticks. Plagued by injury this season, Glen Johnson hasn’t quite fulfilled his Anfield potential yet. Liverpool’s season was more than a little stop-start this season too, so the native Londoner will be keen to kick-start next season with a great World Cup. A right-back by trade, Johnson loves to get forward and plague midfielders. Whilst this tendency has landed Johnson with some criticism, most fans love to see him get forward and bag the more-than-occasional goal. Ashley Cole will count himself lucky to be on the plane for South Africa, after an injury sustained against Everton in February very nearly saw him ruled out for the summer. However, the controversy-courting Cole made it back in time to celebrate winning the League and Cup double with Chelsea, and was even good enough to chip in with a few goals after his return too! Cole made the switch this season to the Nike CTR 360 Maestri, and has stuck by them despite not initially being under contract with Nike. Cole has since signed up with the American sports giants and will be a key wearer of the CTR360 Elite in South Africa. Rio Ferdinand is another stalwart, who will feel that he has critics to answer over the summer. Many have argued that as Ferdinand has suffered from a back injury – and thus missed several games for Manchester United – he shouldn’t be given a free pass to South Africa. Thankfully, the big West-Londoner has looked solid in the friendlies that he’s participated in; in addition to looking to deliver World Class through-balls and cross-field knocks that have distinguished him from your average centre-back. Helping him complete these passes are Rio’s Nike T90 Laser III Elite Football boots. Rio has long been a supporter of the T90 Laser range – so it was no surprise seeing him take up the newest model. Chelsea skipper John Terry has endured a season that must have been every bit emotionally draining as it was physically. Rumours of scandal surrounded the number 26 everywhere he went – with opposing fans delighting in reminding him of his off-pitch discrepancies at every match. Terry, though, proved the strength of his character by captaining his beloved Chelsea to the league title, clinching it from Manchester United on the last day of the season. Now displaced as England captain, Terry will have a point to prove to his team and his critics by shoring himself up for the World Cup after some admittedly shaky moments for Chelsea. Wearing the Umbro Speciali recently, Terry has gone back to basics from his usual SX Valor. To say Warnock is a surprise inclusion in England’s 23 man squad is an understatement! The Villa defender was overlooked for both friendlies, so must have been doing something very special in training! That said – Villa have been a stubborn force in the Premiership this season, and working with Dunne, Cuellar and Collins – Warnock has been part of one of the most consistent back four’s across the whole Premier League. Warnock’s defending style carries over to his choice of football boots – both are stubborn! The Villa Left-Back wears the original Umbro Speciali. Though in training for England he has been spotted in the newer version of the iconic Umbro boot. Another inclusion from an otherwise disappointing West Ham is Matthew Upson. Capello’s ‘First-Choice Second-Choice’ Upson has deputised faithfully for Terry and Ferdinand, who have been limited appearing together thanks to injury. Upson has been a favourite at Upton Park for several seasons, his no nonsense style of play and demeanour suiting the Hammers, who need an anchor and prefer to play faster paced football. Upson has long been a favourite with football boots fans, thanks to his insistence on wearing the adidas World Cup and Copa Mundial. These decades-old classics are definitely the hallmark of a classic player. After being vetoed by Steve McClaren, many doubted they would ever see Jamie Carragher in an England shirt again. Yet, here he is – yanked out of international retirement by Fabio Capello for what would certainly be his last World Cup. The 32 year old has served Liverpool admirably throughout his career, and his fierce attitude and solid defending will be welcomed by the England set-up. Carragher will enter the tournament in his adidas Predator_X football boots. As committed to his football boots as he is to his club, Carragher has been a Predator man for as long as we can remember, lining up perfectly with the Predator’s image of a powerful football boot for powerful players. A perfect example of picking players on form, Capello gave Ledley King the nod after a string of colossal performances for Tottenham at the back end of the season. King is something of a worry at international tournaments, due to his well-documented chronic knee pains sometimes rendering him unable to play in consecutive games. Ledley King has spent the season switching around with his football boots, occasionally being seen in the adiPure. However, for his first half against Mexico King wore the now out-dated Predator Powerswerve Control. Gerrard is another player who fell victim of a mediocre season at Liverpool. Despite helping his team through to the UEFA Cup semi-finals, the inspirational captain will be happy to move into the summer to forget about this season. There’s still much debate over where Gerrard is best utilised in the England set up, whether it’s playing just behind Rooney, in the centre of midfield or even in a wide left role. Whatever his position, Gerrard is the sort of player who will give everything – and is desperate to produce, what he has targeted as ‘a definitive performance in an England Shirt’. Another long-time Predator fan, you can bet your bottom dollar that ‘Stevie G’ will step out onto the field in Rustenburg in the new World Cup Predator_X in Black/Sun Yellow. Speedster Lennon has been a favourite under Capello, who seems to take joy in putting him on the pitch with the sole purpose of terrorising defenders with his outstanding speed. A split season for Spurs, Lennon was just hitting his stride again towards the end of the campaign, though there can be no doubt that his earlier contributions were a factor in Tottenham reaching the Champions League. Lennon is the natural choice to wear the Mercurial Superfly II Elite. The most expensive football boot in Nike’s stable is designed not just to enhance straight-line speed, but also adapt with the dynamics of a players movements as they weave across the pitch. ‘Super’ Frank Lampard will be raring to go in South Africa. After scoring vital goals to see his team win the League and Cup double, the former West Ham man is in the form of his life. Despite being one of the biggest names in the English squad, Lampard’s career under Capello has been very ‘fits-and-starts’. The Chelsea star will be looking to hit back at critics who have claimed he cannot produce for England in the same way he goes for Chelsea. Adidas have always favoured Frank Lampard as one of the biggest names attached to their adiPure line of football boots, and will be hoping he is on fine form to show off the World Cup adiPure III‘s in Black/ Sun Yellow. Joe Cole is another that might not be heading into the World Cup at the top of his game. Only making cameo appearances at Chelsea under new boss Carlo Ancelotti, Joe Cole will be looking to make as bigger impact all the way through the World Cup as he did against England’s recent friendly against Japan. Cole will be out of contact with Chelsea after the tournament, and will likely be using the biggest stage in World Football to impress possible new suitors. Preferring a quality touch on the ball to any gimmicks, Cole has been a long time supporter of the Nike Tiempo Legend. If Joe Cole’s choice of footwear against Japan is anything to go by, he is likely to wear the Tiempo Legend III Elite for the duration of the summer, unless he switches to the CTR360, like many other Legend wearers have done. Something of a bone of contention between England fans is Gareth Barry. Due to an injury sustained whilst playing for Manchester City against Tottenham in the closing stages of the season, Barry looks certain to miss at least the first (and arguably the most important) of England’s group games. That said, Barry has had a solid season in his inaugural term in the Manchester City midfield, chipping in with the occasional goal, as well as providing valuable cover for the defence. Barry is another midfielder who prefers the traditional touch of the adidas adiPure III football boots, and will hopefully be back wearing them sooner rather than later in the campaign! James Milner is a player that has grown in stature immensely over that last 12 months. The versatile midfielder has fought tooth and nail for his club, Aston Villa, with a string of solid, if not memorable performances. Milner’s flexibility will be something that is invaluable to Fabio Capello, with the 24 year old able to play anywhere across the midfield, as well as at left and right full-back. The former Leeds and Newcastle United man will step out onto the pitch in South Africa wearing the Nike CTR360 Elite Football Boots, after making the switch from the Tiempo Legend line earlier in the year. Manchester City midfielder Shaun Wright-Phillips has proven throughout qualifying what a valuable asset he can be, in both creating and scoring goals at international level. Selected ahead of Theo Walcott, his tracking ability will have been key to Capello’s decision. Wright-Phillips will be keen to break in his new adidas f50 adiZero‘s as soon as possible. 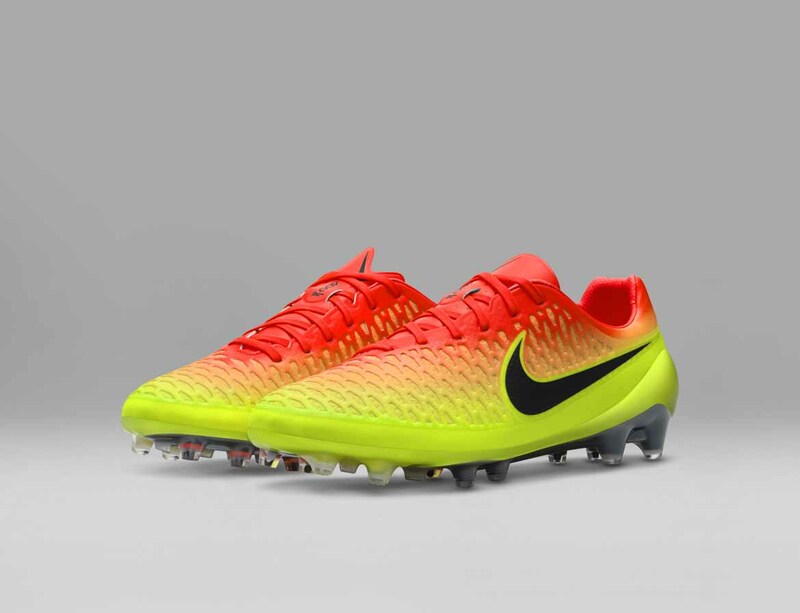 The football boot – currently the lightest available – will suit his high-octane style of play down to the ground. Manchester United midfielder Carrick has forced his way into the reckoning of the England squad with a consistent string of performances for his club. Carrick is also one of the most divisive of the England squad members. Whilst some praise his passing ability and final ball, others are quick to point out his inconsistency at international level, and his inability to cover the back four as well as some of his team mates. Whilst Carrick has spent most of his playing days in the Puma King XL, he has recently made the switch to the Puma Powercat 1.10.Which is just as well – with Puma not making a World Cup edition King, Carrick will be wearing the PowerCat 1.10 Tricks. Renowned for his height, 6’7″, and his ‘robot’ goal celebration, Peter Crouch has an England goal scoring record which would be the envy of many. Since gaining his first cap for England back in 2005, Crouch has netted an impressive 21 goals from 38 games for his country. Crouch offers the England team a useful option, either coming on as a sub, or as target man partner alongside Wayne Rooney. Crouchie wears a whopping great size 12 Puma V1.10 Tricks football boot. England’s talisman Wayne Rooney came into his own during last season with Manchester United. With Cristiano Ronaldo moving on, Rooney had to take responsibilty as United’s figure head and he did, scoring 26 league goals from 32 games. Rooney heads to South Africa in a similar situation, he’s England’s best player and much of England’s success will be defined by his form and goals. Many pundits think that if Rooney has a good World Cup then so will England. Rooney is one of the heavyweights in the Nike stable. He will be wearing the Nike T90 Laser Elite football boots in South Africa. Fast and lethal with both feet, the 5’7″ striker has grown in confidence, but not height, since being reunited with his club manager Harry Redknapp again. Defoe has been involved in the England setup for over six years, scoring 11 goals from 40 games. It’s likely that Defoe will play as an alternative to Rooney in South Africa. Most likely being used as a sub to rest Rooney, or perhaps as an extra striker should England need to chase a late goal. Defoe wears the ultra light new adidas f50 adiZero‘s, ideal for nippy little players like Defoe. Heskey’s lack of starts for Aston Villa didn’t deter Fabio Capello from selecting Heskey in his World Cup Squad. That’s probably due to Heskey’s perfomances during England qualifying games where he helped spearhead England to South Africa. Not prolific (he only scored 5 goals for Villa last season), Heskey is regarded as a player that works hard, helps his team-mates and is important at set pieces, both attacking and defending. Heskey is known to favour the Tiempo Legend football boots and will be see featuring the Tiempo Legend Elite‘s during the World Cup. Heskey + J Cole must be two of the only players around wearing the Tiempo Elite?! So far Green, King, Milner and i think Carragher (and obviously Barry) haven’t been upgraded to the ‘World Cup Range’ of their respective boots – surely their sponsors will be eager to kit them out!